Older adults, especially those who are admitted to hospitals, are at risk for potentially dangerous side effects if they are taking multiple medicines. Taking several medications at the same time is called polypharmacy. Of special concern are benzodiazepine and non-benzodiazepine sedative hypnotics. These medications, which include lorazepam, clonazepam, zopiclone, and others, are often prescribed for sleep—despite the fact that organizations like the American Geriatrics Society recommend that they not be used as a first choice for sleep problems, agitation, or delirium (the medical term for an abrupt, rapid change in mental function). As many as one in three older adults receive sedatives while they are hospitalized, and many are given new prescriptions for them when they leave the hospital. This can put older adults at risk for falls, fractures, problems with thinking and making decisions, and even death. instructions for safely taking themselves off the medication. Alzheimer’s disease (AD) is a brain disorder that destroys memory and thinking skills over time. It is the most common form of dementia in older adults. There is presently no cure for the condition, though treatment options are available. Today, some 5.3 million Americans live with AD, and it is now the sixth leading cause of death in the United States. The number of older adults who will develop AD is expected to more than triple by 2050. Geriatrics experts have suggested that exercising can improve brain health in older adults. The World Health Organization (WHO) has recommendations for how much older adults should exercise. They suggest that older adults perform 150 minutes a week of moderate exercise (such as brisk walking), 75 minutes a week of vigorous aerobic training, or a combination of the two types. The WHO also recommends older adults perform muscle-strengthening exercises on at least two or more days a week. Can Special Training Improve Memory and Thinking Abilities in Older Adults with Mild Cognitive Impairment? Cognition is the ability to think and make decisions. Medication-free treatments that maintain cognitive health as we age are attracting the attention of medical experts. Maintaining the ability to think clearly and make decisions is crucial to older adults’ well-being and vitality. Mild cognitive impairment (MCI) is a condition that affects people who are in the early stages of dementia or Alzheimer’s disease. People with MCI may have mild memory loss or other difficulties completing tasks that involve cognitive abilities. MCI may eventually develop into dementia or Alzheimer’s disease. Depression and anxiety also can accompany MCI. Having these conditions can increase the risk of mental decline as people age. A new, first-of-its-kind study was published in the Journal of the American Geriatrics Society by scientists from research centers in Montreal and Quebec City, Canada. They designed a study to learn whether cognitive training, a medication-free treatment, could improve MCI. Studies show that activities that stimulate your brain, such as cognitive training, can protect against a decline in your mental abilities. Even older adults who have MCI can still learn and use new mental skills. For their study, researchers recruited 145 older adults around the age of 72 from Canadian memory clinics. The participants had been diagnosed with MCI, and were assigned to one of three groups. Each group included four or five participants, and met for eight weekly sessions for 120 minutes. Cognitive training group. Members of this group participated in the MEMO program (MEMO stands for a French phrase that translates to “training method for optimal memory”). They received special training to improve their memory and attention span. Psycho-social group. Participants in this group were encouraged to improve their general well-being. They learned to focus on the positive aspects of their lives and find ways to increase positive situations. Control group. Participants had no contact with researchers and didn’t follow a program. During the time the training sessions took place, 128 of the participants completed the project. After six months, 104 completed all the sessions they were assigned. What’s more, the improvement was the largest for older adults with “delayed recall.” This means memory for words measured just 10 minutes after people have studied them. Because delayed memory is one of the earliest signs of Alzheimer’s disease, this was a key finding. Those who participated in the MEMO group said they used the training they learned in their daily lives. The training gave them different ways to remember things. For example, they learned to use visual images to remember names of new people, and to use associations to remember shopping lists. These lessons allowed them to continue maintaining their memory improvements after the study ended. The people in the psycho-social group and the control group didn’t experience memory benefits or improvement in their mood. This summary is from “MEMO+: efficacy, durability and impact of cognitive training and psychosocial intervention in MCI.” It appears online ahead of print in the Journal of the American Geriatrics Society. The study authors are Sylvie Belleville, PhD; Carol Hudon, PhD; Nathalie Bier, PhD; Catherine Brodeur, MD; Brigitte Gilbert, PhD; Sébastien Grenier, PhD; Marie-Christine Ouellet, PhD; Chantal Viscogliosi, PhD; and Serge Gauthier, MD. When older adults arrive at a hospital’s emergency department (ED), they may face unexpected challenges. For example, they may become less able to function independently. They may develop difficulties thinking and making decisions during or following a visit to the ED. This makes transitions in care to and from the ED an important area for improvement in our health care as we age. 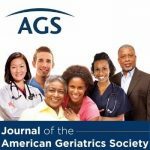 To address these challenges, geriatrics experts have developed special programs such as the “Geriatric Emergency Department Innovations in Care through Workforce, Informatics, and Structural Enhancements” (GEDI WISE) program. GEDI WISE is an award-winning program that serves as a model for excellence in emergency care for older adults in three large urban hospitals: Mount Sinai Medical Center in New York, NY; St. Joseph’s Regional Medical Center in Paterson, NJ, and Northwestern Memorial Hospital in Chicago, IL. One piece of the GEDI WISE program includes an ED-based geriatrics transition care nurse (TCN). The TCN identifies patients who have health needs specific to older adults. This nurse works to help people transition to their homes so that they can avoid hospital admission whenever possible. A team of researchers designed a study to learn how effective the GEDI WISE TCNs were for reducing hospital admissions, later admissions, and revisits to the ED. They published their findings in the Journal of the American Geriatrics Society. The study took place in 2013-2015 in all three hospitals in the GEDI WISE program. They studied more than 57,000 people aged 65 or older who made more than 120,000 visits to the three participating hospitals’ EDs. Informed by these screenings, the TCN used various geriatrics resources to help patients. Some people required only a little support, while others needed extensive help. Compared to the control group, people who saw the TCN had lower rates of inpatient (hospital or healthcare facility) admissions over 30 days at two of the three hospitals. The researchers concluded that programs focusing on improving care transitions for older people seen in the ED may help reduce the risk for hospital admission. This summary is from “Geriatric Emergency Department (ED) Innovations: ED transitional care nurses & hospital utilization.” It appears online ahead of print in the Journal of the American Geriatrics Society. The study authors are Ula Hwang, MD, MPH; Scott M. Dresden, MD; Mark S. Rosenberg, DO, MBA; Melissa M. Garrido, PhD; George Loo, DrPh; Jeremy Sze, BS; Stephanie Gravenor, MBA; D. Mark Courtney, MD; Raymond Kang, MA; Carolyn Zhu, PhD; Carmen Vargas-Torres, MS; Corita R. Grudzen, MD, MSHS; Lynne D. Richardson, MD; and the GEDI WISE Investigators. Experts say that a lack of physical activity leads to age-related weakness and poor health in older adults. Official guidelines suggest that healthy older adults spend at least 2.5 hours every week doing moderate activity (such as brisk walking), or at least 1.25 hours per week doing vigorous exercise (such as jogging or running). Unfortunately, many older adults are not physically able to perform either moderate or vigorous intensity exercise. Researchers created a study to learn more about how much exercise older adults are able to perform, and how that exercise affects their health. The research team studied 6,489 female participants aged 63 to 99 years old. The researchers published their findings in the Journal of the American Geriatrics Society. The participants agreed to take in-home exams, answer health questionnaires, and wear accelerometers (devices similar to fitness trackers). The participants also kept sleep logs.